England Legend David Beckham signs a long-term, exclusive agreement with KONAMI. A global superstar, Beckham started his professional career in England, moving on to have spells in Spain, America, Italy and France. He ended a glittering career in 2013, winning 19 trophies along the way and earning the honour of being England captain. Having played in over 100 UEFA Chanpions League and English League matches, Beckham is truly a lengendary player who has experienced success on an international scale. 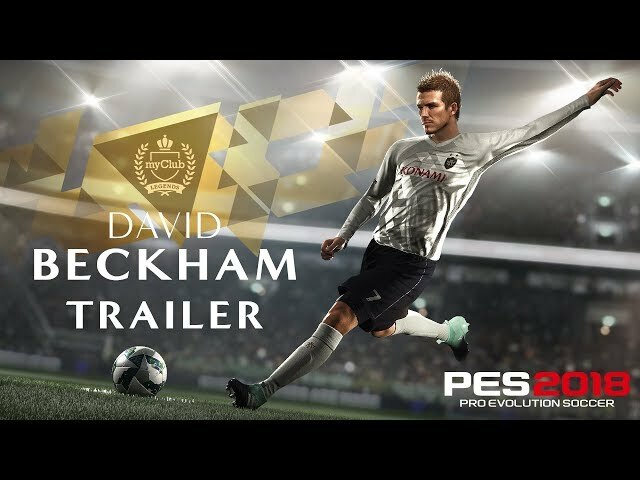 The exclusive deal with KONAMI will see Beckham appear as a Legend player in the myClub mode of the soon-to-be-released PES 2018. 08/08/2017 Coutinho de Liverpool est annoncé comme Ambassadeur de la série PES !